Beatrice Lacey, daughter of Wideacre Hall, will not accept society’s rules that women cannot inherit...The internationally bestselling debut from the author of The Other Boleyn Girl and Three Sisters, Three Queens. 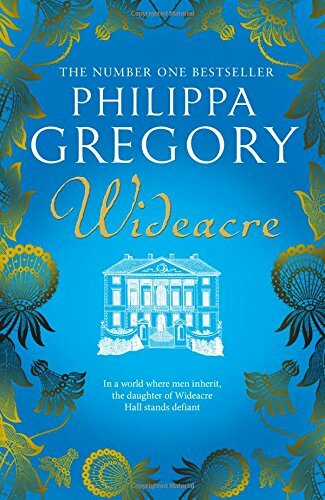 Wideacre Hall, set in the heart of the English countryside, is the ancestral home that Beatrice Lacey loves. Built from yellow stone, facing due south and surrounded by the rich woodlands and rolling downs of Sussex, it has been in her family for generations. But as a woman in England in the 1770s she has no right of inheritance; only a loveless arranged marriage lies ahead. Beautiful, sensual and passionate, Beatrice sets out to pursue her own goal: control over Wideacre – at any cost. Yet even as her scheming succeeds, Beatrice is haunted by the one person alive who fully understands her obsession and knows her capacity to let nothing – and no-one – stand in her way. The 30th anniversary edition, with new foreword by the author.